Now it’s time to attend your first classic car auction sale in person. You’ve been studying the auction listings for weeks. You have a list of cars you can’t wait to see up close, and you’ve researched what you need to know to accurately assess them. If not, then you’ve brought someone along to guide you. 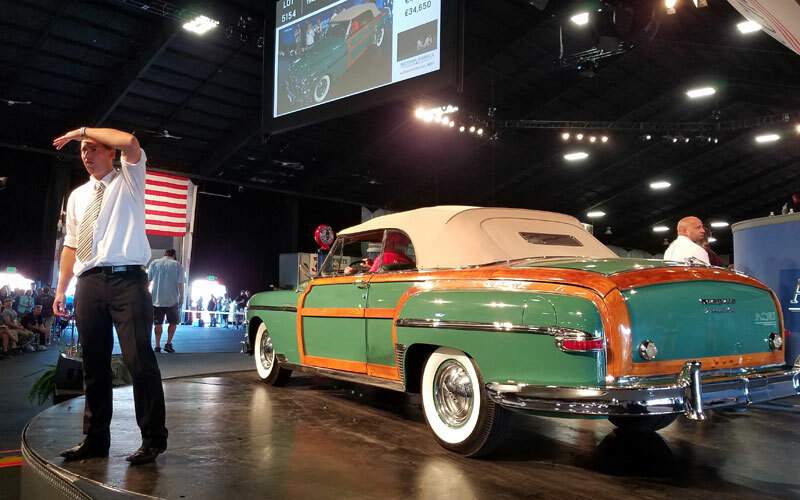 (All of this was described in Part 1 of this series, “Preparing for Your First Classic Car Auction,” in last week’s newsletter.) Now it’s time to execute your bidding strategy. 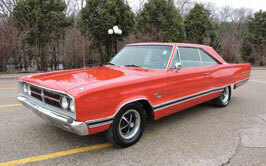 This is Part 2 of our Classic Car Auctions series. In this report, we’ll continue looking at Patrick Krook’s “The Art of War: Tips and Strategies for Capturing Some Screamin’ Deals at Auctions,” as we discuss some of the things you’ll need to know to be successful in an auction environment. For information about preparing for the auction see our Part 1: Preparing for Your First Classic Car Auction. Arrive early on the auction grounds and be sure you have time to give a thorough inspection to collector vehicles you intend to bid on. Most auctions have preview areas, giving you the perfect opportunity to look over the vehicles before the sale. Often the owners are available to interview and ask questions. Note any discrepancies between what you saw online and what’s in front of you. Double check paperwork, VIN number, visible block numbers or fender tags, etc. “Remember, that little card read by the auctioneer during the sale is provided by the guy selling the car, not an objective inspector with an expert eye,” cautions Krook. This is your chance to separate yourself from the advertisement you were reading and finally know exactly what you’re looking at. Most important, you can easily verify the condition class the car is in. That determines the actual value of the car more tangibly than any other measure. (Click here to understand the way collectors peg condition classes.) Hopefully it will be just as the seller described in the promotional material. You should have an idea of what you were willing to pay thanks to your research ahead of time, but now you’ve had some time to get in close to the vehicle and may want to revise your figures, or even walk away from the sale. Additionally, this will give you time to survey any vehicles that weren’t listed on the auction website. These last minute entries are likely to have far fewer interested bidders. If you prepared well, you can find cars other bidders will be too cautious to bid on without adequate foreknowledge. 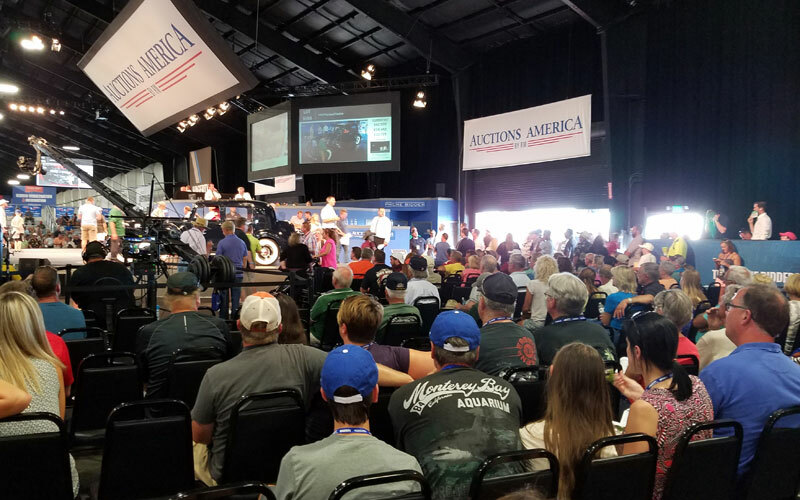 There may be more than one auction stage depending on the size of the auction. Once you know which cars you’d like to bid on, find out where they’ll be and when you need to be there. Study the Lot numbers. The number of each car will be displayed on the teletron as the car takes the block. You’ll always know where you are in the auction lineup by the Lot number of the current sale. Don’t just show up to bid on the one car you’re interested in though. You need to get a feel for the auction environment and assess the crowd with as much scrutiny as you gave to the cars earlier. 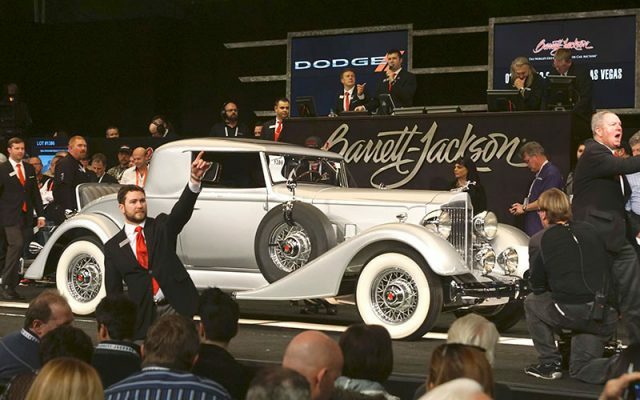 Up until now, the experience of buying a collector car at auction probably feels a lot like buying one off a car lot. Not anymore. The lights. The crowds. The auctioneers. Food. Beer. Television cameras, and more are likely to distract you. The atmosphere here is exhilarating and you need to be ready for it. Show up early. Get a good seat where you can see not just the auction stage, but the crowd as well. Now watch. Many auctions allow numerous bidding methods these days. Neither online bidding, telephone bidding, nor absentee bidding will be as fun as being there in-person, but they are options. Just be sure you are comfortable and knowledgeable about what you’re bidding on. Investigate the method that will be best for you and familiarize yourself with the auction’s requirements for that method ahead of time. We’ll be focusing on in-person bidding here. An auctioneer leads the action. He scans the crowd for bids and auction assistants, called “ring men” who are communicating with interested bidders. Make sure a ringman knows you are prepared to bid on a car. Your communication with the ringman will be critical to a successful sale. Krook advises that you “monitor the schedule, and the mood of the bidders around you. A win here looks like getting the car for your bid limit or less.” Be aware of the attitude of the crowd. Are there many active bidders? Have cars like the one you want been attracting a lot of bids? Consider talking with other bidders to get an idea of what they’re after. They might have some tips for you! The auctioneer considers many factors for each car. They influence the starting price and the length of time the car remains on the auction block. More interested bidders means the auctioneer will start the bid high. Bidding opens at a suggested price and the auctioneer waits for bidders to “fall into the bid.” If no bidders bite, then the auctioneer will keep lowering the starting price until someone bids. Of course, that only works if the bid remains marginally below your targeted price range. If you get into the bidding rythmn you will be in a rotation of escalating bids. For instance, on a 1967 Corvette 427/435 Convertible with an estimated value of $150,000, the auctioneer will try to escalate the bids by $5,000 per bidder. If you are one of five bidders on this popular muscle car and you place your first bid at $75,000, the auctioneer will be at $100,000 by the time the bid gets back to you the second time. If you fail to go with the flow the auctioneer will say “You’re out.” And your participation in the bidding is over. You won’t get the car. If there’s a reserve on the car, it means the owner will not allow the sale until it meets his reserve number. This adds to the excitement. Noting whether a car is marked with a “reserve” or “no reserve” when doing your research can help you decide to bid. Winning the bid on a No Reserve car means you actually will own the car. If you place the highest bid on a Reserve vehicle does not guarantee you will take the car home. The price you bid would have to meet the Reserve price. Bidders love to bid on No Reserve cars. Sellers, however, are really taking a chance. Congratulations! You’re either the proud owner of a “new” classic car or you stuck to your guns and walked away without paying too much. Either situation is a win in most cases. You’ll need to arrange transport for your purchase. But, just for a moment, you should pause in the limelight … just enjoy one of the most exciting moments in the collector car hobby.